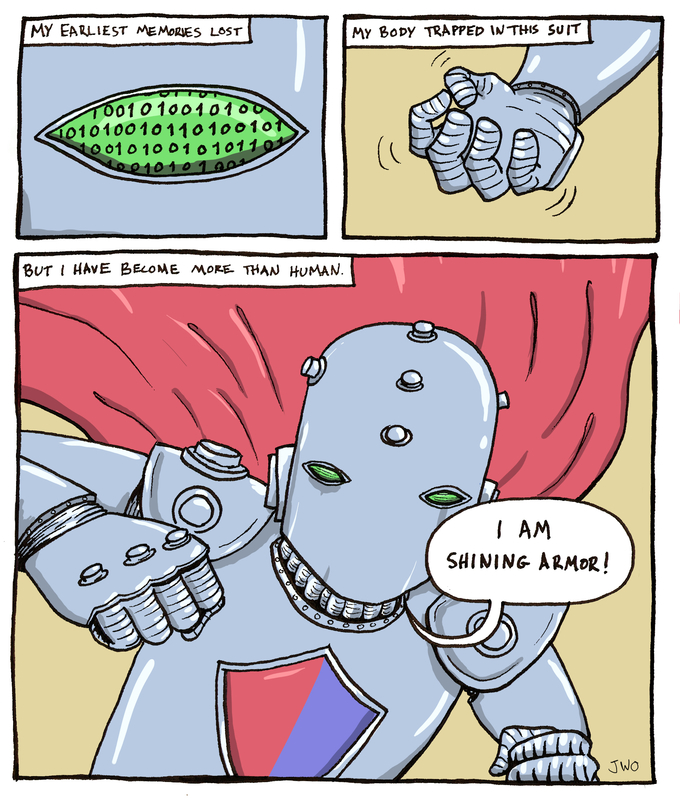 Shining Armor (American spelling to go with the US comic book theme) is a robot who believes he is a man trapped in an impenetrable robotic suit. He fights crime to find purpose in an empty life that can offer him nothing more. One day he believes he will find the people who encased him in his carapace. Let’s hope he never will. More of our drawings are on Facebook. Wobbly Goggy’s drawing features a misguided robot plummeting to what would seem to be his inevitable doom. But things are never that simple in the world of comics are they? This entry was posted in Uncategorized and tagged Comic, Comic Book, DC, Fantasy, Golden-Age, Hero, Knight, Marvel, Metal, Robot, Sci Fi, Steampunk, Superhero, Wobbly Goggy. Bookmark the permalink.